But i did not get any link there.. I JUST WANNA ASK U ONE THING/QUESTION ADMIN ,FROM WHERE DID YOU GET THIS IP ADDRESS OR LINK ? Admin Correct your post. 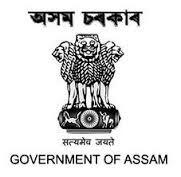 This is not for written Test for the post of Secretariat Assam Admit Card 2017,Junior Administrative Assistant and Computer Operator which was closed on 24th Sept 2017. This advertisement was for Those candidate who applied the said exam in 2015 which is 2 years ago and they already appeared for the written test exam and qualified for Viva Voce which is going to be held on 2nd Nov 2017. Don't Post anything without knowing properly. First Research and then post if you want to get visitors.